Are you considering ductless heating and cooling but aren’t really sure how it works? This article will explain more about the systems and how they operate, and what benefits they provide. Ductless systems are best used for additions to homes, homes with existing central air conditioning systems, or another area. This is because the ductwork would not have to be extended into another room and a ductless system provides an easy solution. At Salt Air we offer a customized in-home or in-office consultation to match your heating and efficiency needs. Contact us today to schedule an appointment to find out if a ductless heating system makes the most sense for you! Ductless systems work very similarly to typical air conditioners that are split systems. They use the thermostat for either cooling or heating, with the compressor working to convert the gas from low to higher pressure. As the gas flows through the coils, the air is produced and released into the environment at the preferred temperature. The hot or cold air is then removed from the area and cycled back through the system to be re-distributed throughout the house or building. The ductless heating and cooling system are composed of two parts: indoor and outdoor units. Indoor ductless units use only a fan and evaporator coil and the system has the point-of-use conditioning of air for each area it is installed in. The HVAC dealer can typically hide the unit by creating a cabinet or some other enclosure so it is not visible in the room. Ductless systems can be installed in a single indoor unit that is best for one area or room or multiple air handlers for more zoning of air conditioning throughout an entire building. 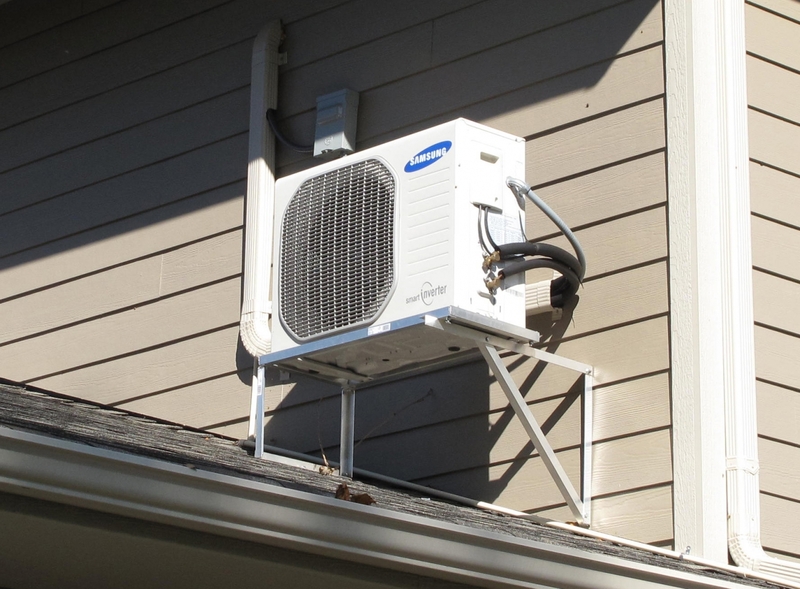 The outdoor component of a ductless air conditioning system works much like a typical outdoor unit for air conditioning system. The outdoor unit is composed of three main parts to make it work: the compressor, the condensing coil, and the fan. The compressor first regulates the speed at which the air moves through the system. The condensing coil then converts the air into high-pressure gas which is filtrated throughout the coil, and then fan pulls air in and distributes into the area. Now that you know more about ductless heating and cooling systems, you can move towards your decision as to whether or not these systems would be best for your home or building. Consider the efficiency of these systems and the ease of HVAC commercial installation as a result of not having to install the ductwork, and the answer should be simple!